FATAL PICTURES: The Conduit Speaks Review's "FAMILIAR"
When FATAL PICTURES' partner/producer Zach Green informed me that he, Director Richard Powell, and actor Robert Nolan had another short film for me to take a look at, I was thrilled to pieces. 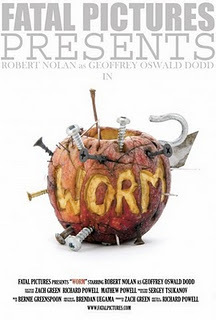 Their last endeavor: WORM, truly fractured my psyche. Not only was it emotionally taxing, but it also played heavily on thoughts and feelings many of us often toy with, but never act upon. 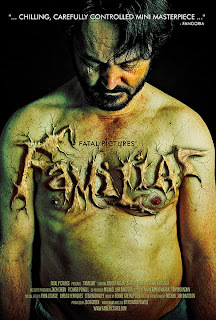 Being a family man myself, I was a bit nervous knowing that FAMILIAR's narrative existed in a world I have been fully immersed in for the better part of 10 years. Thankfully I can say with complete honesty that I've never entertained the types of fantasies our central character laments throughout the film's run time. However, the writer/producer/director team once again dabble quite aggressively in the recesses of a guy's mind who's pretty much "had it." Not just had it with his own life, but with the lives of those around him. Read full review here. Before we dive into the year that was 2011, I wanted to remind everyone of my top 10 list from 2010. Once you've refreshed your memory with those fine films, you will find my 5 favorite short films as well as my 15 favorite feature films (of 2011). Be sure to keep your eyes open for the next episode of THE CONDUIT SPEAKS PODCAST where I will be going into detail regarding my picks as well as discussing more films that just missed the cut. ENJOY!!! Am sitting down to watch my copy shortly, will let you know when the review is up.